Lately I have been using my Moto 360 more for fitness than pleasure so I decided I needed to try and find a rubber band as the leather and metal variants that I already owned don’t mix well with getting hot and sweaty. 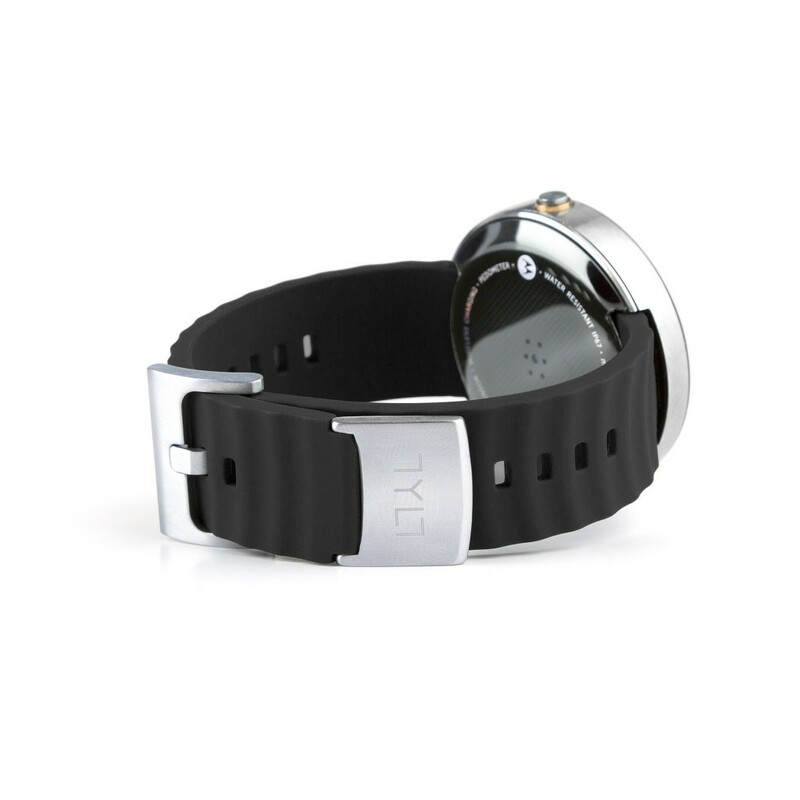 While searching I came across the Tylt Band, basically It’s a rubber band for the Moto 360 made by a company I hold close to my heart as I have yet to have a negative experience with them and have always been super happy with not only their service but their products as well. The band is offered in 4 different colour options (Black, Blue,Olive and Purple) so there’s a decent choice there to suit your needs. I opted for the black variant as I’m a pretty dull guy and it set me back $29.95 (£19), so it’s not overly expensive either considering the quality. Below you will find my full video review and below that is a written conclusion, as always if you have any questions about the product then just ask as we always strive to answer as prompt as possible. Overall I’m pretty much in love with this band as it does exactly what i need it to do and doesn’t look or feel cheap. It is very comfortable to wear while exercising and to be honest I now find myself just rocking this band on a permanent basis as it looks good for most situations. If your on the market for a rubber band then definitely check this out.